HERO3 White captures gorgeous 1080p30, 960p30 and 720p60 video. Relive your most memorable or incredible moments in stunning quality. 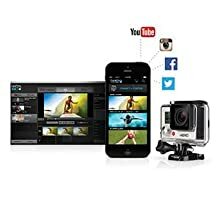 Easily create a video using GoPro Studio software, then share it with your friends and family on Facebook, YouTube and more. Choose from a variety of photo modes to get the perfect shot. Capture 5MP still photos, or use Burst mode to capture up to 3 frames in one second for a unique photo sequence. Time Lapse mode automatically captures photos at set time intervals from 0.5 to 60 seconds. It’s great for gear-mounted shots when the shutter button is out of reach, or capturing a series of photos so you can pick your favorites. Control, view + share with built-in Wi-Fi. 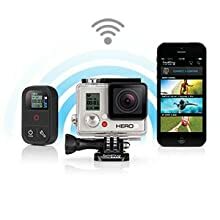 HERO3 White features built-in Wi-Fi, allowing you to connect to the GoPro App or Smart Remote. 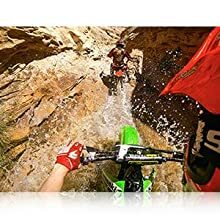 The GoPro App transforms your phone or tablet into a live video remote for your camera, offering full control of all functions and settings, easy shot preview and playback, plus sharing via text, email, Facebook and more. The Smart Remote allows you to control multiple GoPro cameras from distances of up to 600 feet (180 meters). Fit more in every frame thanks to HERO3 White’s ultra wide-angle glass lens. 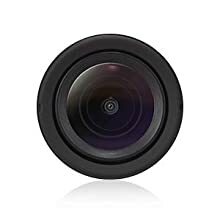 It’s great for gear-mounted shots and close-range selfies and delivers an immersive perspective for uniquely engaging footage. 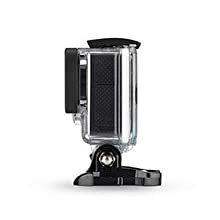 HERO3 White’s rugged housing is waterproof to 131 feet (40 meters), and protects the camera in wet, dirty or sandy environments. Built tough to withstand almost anything you can throw at it, you can take HERO3 White nearly anywhere to capture life as it happens. HERO3 White features excellent audio performance, capturing even the most subtle of sounds, whether you’re recording voices, music or the roar of your engine on a spirited drive. 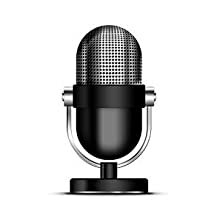 Advanced wind-noise reduction technology keeps the audio clearer during high-speed activities. The included Skeleton Backdoor enables enhanced audio capture during low-speed activities in dry, dirt-free environments. Weighing just 2.6 ounces, the HERO3 White camera is super small, ultra portable and perfect for low-profile mounting. 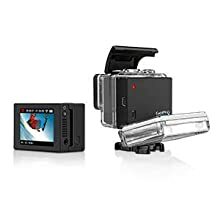 Its compact design means you can comfortably wear it or mount it to your gear as you capture your favorite activities, or slip it in your pocket or bag to take anywhere. Add to the experience with BacPac accessories. HERO3 White is compatible with all BacPac accessories, opening up even more options and versatility. 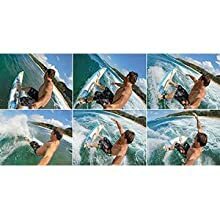 The LCD Touch BacPac is a removable touch display that seamlessly attaches to the back of the camera, providing an easy way to preview shots, adjust settings, and play back videos and photos. The Battery BacPac is a removable battery pack that extends the camera’s battery life. It’s perfect for all-day adventures, marathon surf sessions, hiking, biking and more. Just testing out a Go Pro Hero 3 White Edition in a local pool. We provide our customers with quality assured products and fast services. Our products are guaranteed for up to three months after purchase. However, if you are dissatisfied with our product, we are willing to offer you full refund or exchange within two weeks of purchase. Please e-mail us regarding the product you are dissatisfied with, and we can offer you a refund or exchange. 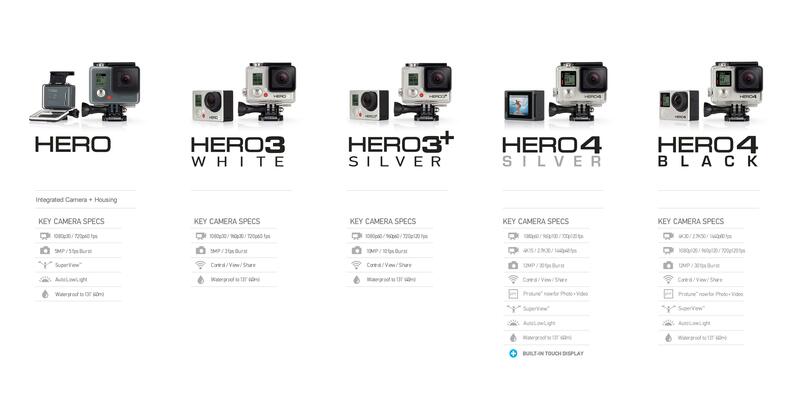 Click the button below to add the GoPro HERO3 White Edition Action Camera Wi-Fi CHDHE-301 to your wish list.